They are ideal for the whole family. An unforgettable night in a unique location! 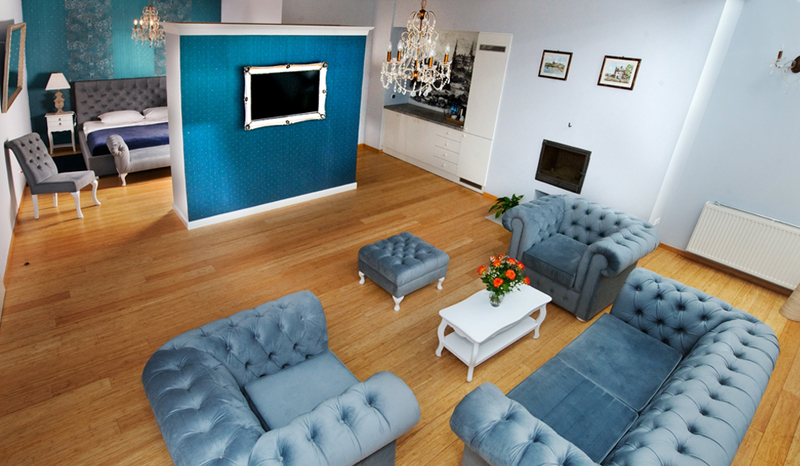 Mikolaj Hotel *** is situated in a thoroughly renovated, historic building in Mikołajska 30 street. The hotel has 34 modern accommodations in 12 comfortable and fully equipped rooms and 2 exclusive suites located in the attic. Friendly staff and the rustic decor make up for a truly homely atmosphere. In the hotel there is a cafe, our chef invites you to try delicious breakfasts, snacks and good wines. We offer four types of accommodation: Suite, single room, double and triple rooms. All rooms are fully equipped with private bathroom, with the choice of bath or shower, satellite TV, telephone and free Internet access.